An Angel is busy delivering a message to some lucky soul. 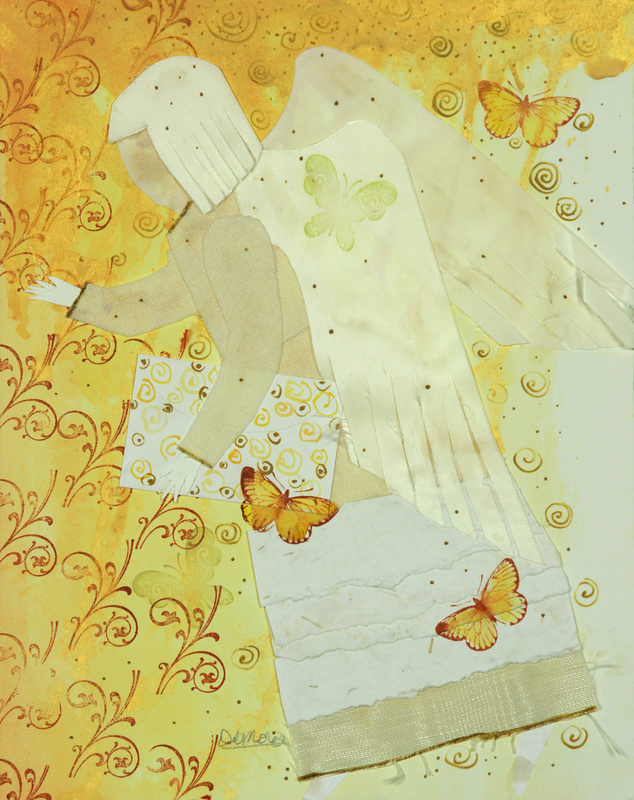 She is torn hand-made paper, silk hair and wings and stamped background and butterflies. The colors are cream to gold. So much fun to create.